Fast Response Plumbing in Voorhees, New Jersey provides its customers with a variety of quality services. Some of the services include heating, drain cleaning and plumbing as well as emergency maintenance. These technicians have the expertise to efficiently diagnose the problem, then go about making the appropriate repairs. Consider a few of the reasons why Fast Response Plumbing is the go-to plumber for many residents and businesses in Voorhees, New Jersey. A malfunctioning heater is no joke, especially in the middle of winter. Our technicians are able to repair a variety of issues with heaters. 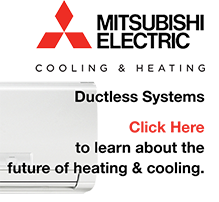 We can perform repairs on steam boilers as well as replace radiators. Burner cleaning, leak repairs and radiant heat are also specialties of this team. Customers in Voorhees can rest assured that these technicians will address the problem and get the heat up and running again! A clogged drain is not only annoying, it has the potential to cause water damage in a home. Whether it’s a clogged kitchen drain or sewer line, our team of technicians can solve the problem. We can also fix clogged toilets, tubs, grease traps, sinks, urinals, storm piping and more! Fast Response Plumbing uses cutting edge technology to remedy drain problems FAST. • Every call is answered by one of us, not an answering service. • Excellent customer service that understands your frustrations. • Timely arrival because your time is as important as ours. • Flexible schedules because taking time off work will only add to your stress. • We only hire skilled technicians so you can rest easy knowing it was done right. • Educate technicians on supplies utilized. • Educating clients to minimize the chances of this emergency happening again. Finally, the technicians at Fast Response Plumbing can repair water heaters that are leaking or otherwise malfunctioning. They evaluate the issue and let the customer know exactly what is going on. If you have a leak or other problem you need help with, fill out the contact form and we will respond to your inquiry as soon as possible. We appreciate your business! – “Voor” is a Dutch prefix for “in front of.” “Hees” was a village near Ruinen, Drenthe, Holland. 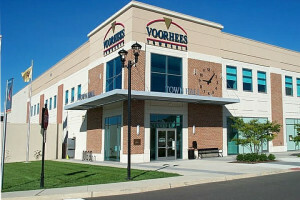 – Many Eagles have called Voorhees home: Hank Baskett, Brian Dawkins, and Ron Jaworski.